articles - Agnew - think. translate. captivate. SyntaxNet is the latest among artificial-intelligence software systems to be released by large tech companies under an open-source license, which allows anyone to access, use and tweak the software. This week, Amazon.com Inc. made its Deep Scalable Sparse Tensor Network Engine available on the online code repository GitHub. In November, Google released TensorFlow, its machine-learning code. Facebook Inc. has open-sourced both software and hardware systems for artificial intelligence. Upon parsing sentences, Parsey McParseface can home in on the most relevant words, an analysis that complementary programs can use to perform searches and other tasks. Google uses the program in several of its services, including search and Smart Reply, a feature that suggests quick email responses based on the content of received missives. It also is used in filling Google’s Knowledge Graph, the repository of information upon which its search engine runs. The programmers, who worked on Parsey McParseface for roughly 18 months, had trouble thinking of an appropriate name. Someone volunteered the playful moniker—a play on Boaty McBoatface, a name chosen via public poll for a U.K. research ship earlier this year—and it stuck. Experts believe that computers’ ability to understand natural language is crucial to improving technologies like virtual assistants, chatbots, software that places ads on Web pages, automated language translation, decision-support systems for professionals such as medical workers, and research tools that help scientists uncover relationships, for example, between a protein and a drug. The hope is that language-driven applications will make such industries as retail, health care, research and sales more efficient. 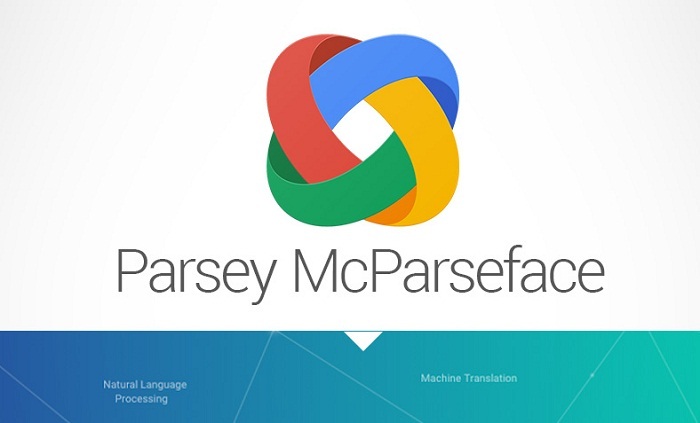 Google claims that Parsey McParseface is the most accurate such program available. It understands the relationships between words in a sentence with an accuracy of more than 94%, surpassing the previous record also held by Google. Human linguists employed by the company have an accuracy of roughly 95%, suggesting that the search giant’s software is nearing human-level performance. The Google system is only a first step, experts said. It can’t figure out relationships between sentences, a feature that would allow it to better understand overall context. It is only available in English. Longer sentences can stump Parsey McParseface. Using it to build a chatbot, for instance, would also require additional code and expertise. It is also unclear how well it will work out-of-the-box in specialized domains such as health care and biotech, experts said, which require large amounts of data representing a field’s particular vocabulary and its uses. If a program “learns” by analyzing news articles, as Parsey McParseface does, it may not be as good at reading and understanding medical texts. One evening this past September, more than 300 people squeezed into a narrow room at BookCourt bookstore in Brooklyn for the launch of “The Story of the Lost Child,” by Italian author Elena Ferrante. The author, whose true identity is a closely held secret, was absent. Instead, the crowd whooped and cheered for the headliner of the evening: the book’s translator, Ann Goldstein. Translators rarely achieve celebrity status. But as Ms. Ferrante’s star has risen, so too has Ms. Goldstein’s. 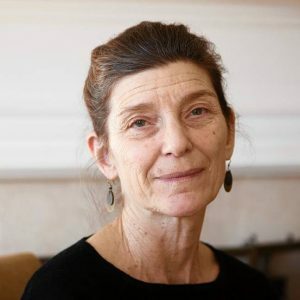 Her English translations of the four books in Ms. Ferrante’s Neapolitan series have sold more than a million copies in North America, the U.K., Australia and New Zealand. Ms. Goldstein, 66 years old, is now one of the most sought-after translators of Italian literature. Last fall, she celebrated the completion of a gargantuan project: “The Complete Works of Primo Levi,” a 3,000-page collection for which she oversaw nine translators and translated three out of 14 books herself. This year, she expects to see the release of five of her translations, including “In Other Words,” a memoir by the American Pulitzer Prize-winner Jhumpa Lahiri, which Ms. Lahiri wrote in Italian. “Frantumaglia,” a collection of interviews and writings by Ms. Ferrante, will also be released this year. All of this comes on top of Ms. Goldstein’s day job, as head of the copy department at the New Yorker magazine. She became a translator by accident, though it was clear from childhood that she had a deep affinity for languages. She grew up in Maplewood, N.J., and began studying French and Latin in grade school. At Bennington College in Vermont, she took up ancient Greek, wanting to read Homer and Aeschylus. In 1973, she took her first job as a proofreader for Esquire. She moved to the New Yorker the following year, and worked her way up through the copy department, becoming its chief in the late 1980s. She has edited writers including John Updike, Ian Frazier and Adam Gopnik. At the magazine, she earned a reputation as a master of English grammar who helped writers polish their sentences until they shined. She visited Italy for the first time in 1987. Smitten with the language and the country, she began reading in Italian as much as she could. In 1992, New Yorker cartoonist Saul Steinberg asked editor Robert Gottlieb to consider a short book by his friend, Italian author Aldo Buzzi. Mr. Gottlieb couldn’t read Italian, so he asked Ms. Goldstein to have a look at it. She read it, liked it, and decided to try her hand at translating it. Mr. Gottlieb liked the translation, and published it in the magazine. Ms. Goldstein continued to translate both magazine pieces and books. And in 2004, she got a big break. A new publishing company called Europa Editions invited her to submit a sample translation for its first book: Ms. Ferrante’s “The Days of Abandonment.” Ms. Goldstein submitted a sample of the book’s searing opening. So did Michael Reynolds, then a freelance copy editor for Europa, living in Rome. Among the applicants, Ms. Goldstein wasn’t the best-known translator, but the editors decided her sample was the best. She beat out Mr. Reynolds, who later became editor in chief of the company, and now serves as her editor. There is a spectrum, among translators, ranging from those who hew very closely to the original to those who take more liberties with the text. Ms. Goldstein leans toward fidelity. Editors who have worked with her say her strength comes not just from her mastery of Italian, but from her profound love of English. Italian sentences tend to be more complex than English sentences, often running on with clauses and sub-clauses. Because English grammar doesn’t have gendered nouns, these clauses have to be rearranged to make sense in English. Ms. Ferrante’s sentences tumble forward, comma after comma, with emotional intensity. Ms. Goldstein’s translation replicates that rhythm, and that emotion. Ms. Goldstein says she doesn’t know Ms. Ferrante’s real identity. She has exchanged emails with her a couple of times, but usually sends questions or clarifications through the author’s Italian editors. Ms. Ferrante reads English and signs off on the final versions but generally doesn’t suggest revisions, Mr. Reynolds said. Ms. Goldstein said she was floored—and intimidated—when she was invited to translate Ms. Lahiri’s memoir. In a preface to the book, to be released Feb. 9 from Alfred A. Knopf, the author explains that she decided not to translate her own work because she wanted to immerse herself fully in Italian, and would have felt the urge to smooth out the “rough edges” of her adopted language. The intensity of their collaboration was unusual for Ms. Goldstein, who usually works with authors who are dead or, in Ms. Ferrante’s case, not present. Ms. Lahiri declined to comment for this article. The two women seem to have emerged from the project with their relationship intact: They appeared together in November at the Center for Fiction in New York, where they discussed the Ferrante novels. “Her name on a book now is gold,” said Robert Weil, editor in chief of Liveright, who hired her for the Primo Levi project. Colleagues said Ms. Goldstein now stands among the ranks of great translators such as the late William Weaver, a doyen of Italian translation. This spring, she has been invited to speak on a panel at the PEN World Voices Festival in New York and at writers’ festivals in Sydney and Auckland. At the end of the night at BookCourt last September, the booksellers asked Ms. Goldstein to autograph their stock. “I thought, ‘Who wants the translator’s signature?’” she said. 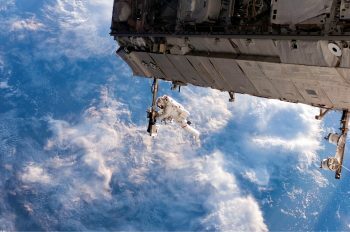 DULLES, Va., April 11, 2016 /PRNewswire/ — Raytheon Company (NYSE: RTN) will showcase its capabilities across the space domain at the 32nd Space Symposium, the premier gathering of the global space community, held April 11-14 in Colorado Springs, Colorado. With a 50-year history of successful on-orbit performance, Raytheon space sensors provide landmark observations of Earth foradvanced weather forecasting, natural resources management, missile warning, defense and intelligence missions and a wide range of commercial applications. Raytheon is among the first movers at every point across the data value stream, providing deep experience and innovative thinking for space data analytics. We integrate analytics into our customer’s missions to give them decision advantage. Analytics site.